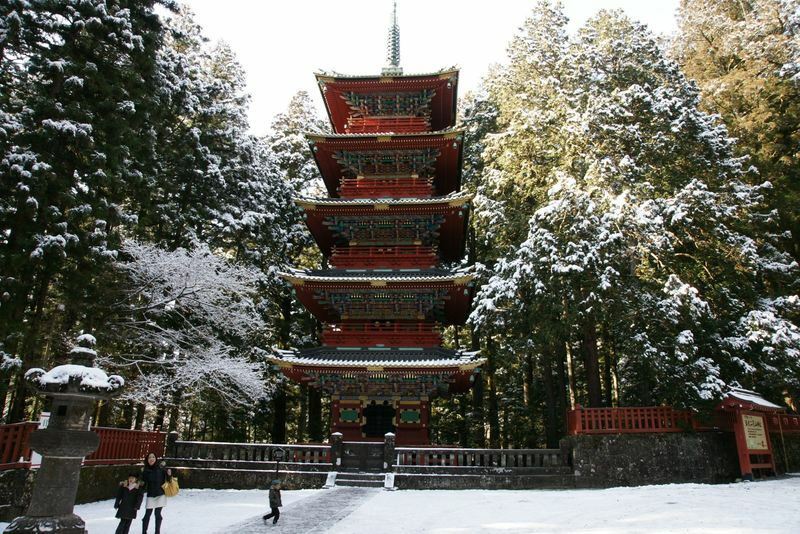 Nikko is a town in the mountains in Tochigi prefecture, about 150 km north of Tokyo, and is included among the UNESCO World Heritage list. The area around the stations to Nikko, where tourists usually arrive (the JR station and the Tobu station) has nothing special to be suggested. Walking north for about 2 km on foot (see map for clarify your ideas) or by bus (300 yen, frequency every 15 minutes), you arrive in the most famous area of the town, Nikko Sannai. 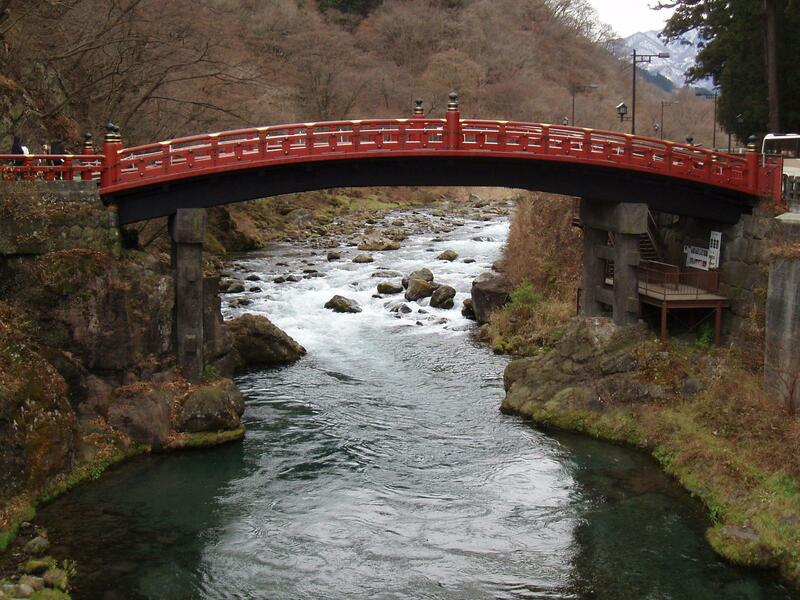 A bridge over the river Daiya that practically marks the entrance to the Sannai area, located north of the river. 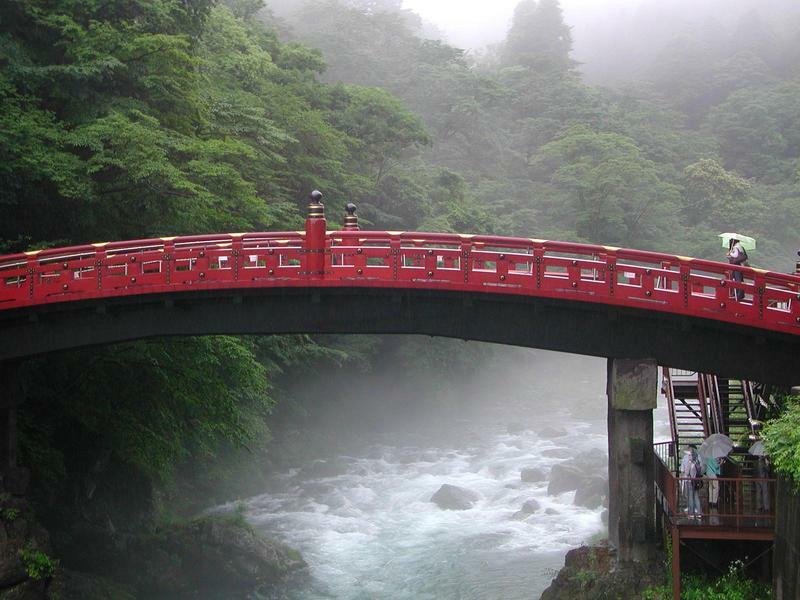 It is considered one of the 3 most beautiful bridges in Japan. Quello attuale fu costruito nel 1636, The current one was built in 1636, but before there was another bridge with unclear origins that was called Yamasuge-no-Jabashi, literally "Bridge of Snakes". The legend says in fact that such a priest Shodo Shonin and his disciples, around the year 766, were unable to cross the river because of the currents and had began to pray, until a god appeared, Jinja Daio, who launched two snakes, a blue one and a red one, that were disposed forming a bridge over the river and allowing them to cross it, and then they disappeared. Today the bridge can be admired and photographed crossing the river by a modern bridge built next to it, but if you want to cross the Shinkyo bridge you have to pay 300 yen. 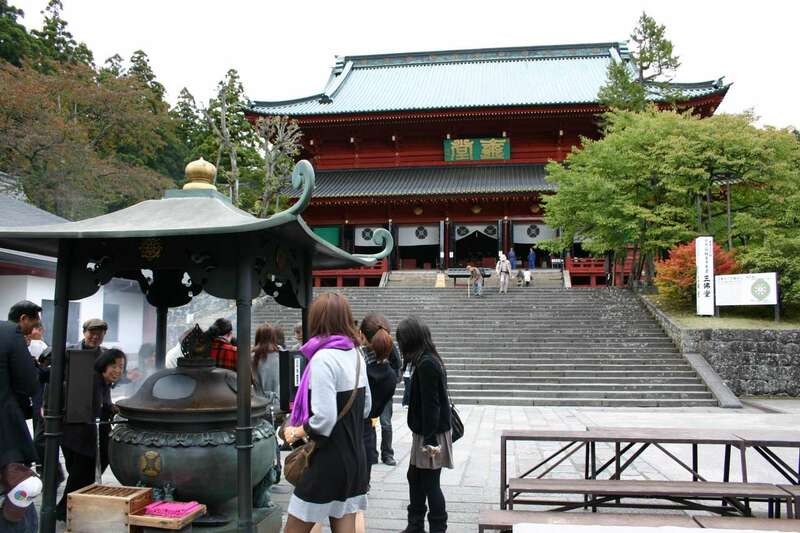 If you plan to visit all or almost all the temples listed below in the zone of Sannai (Toshogu Shrine, Rinnoji Temple, Futarasan Shrine, Taiyuinbyo), then it is strongly recommended to purchase a combination ticket that costs only 1000 yen and gives you access to all these places, with exception of the Treasure House and the Shoyoen Garden at the Rinnoji Temple (+300 yen) and the tomb of Tokugawa Ieyasu at the Toshogu Shrine (+520 yen). You can buy this ticket in any of the temples. This shrine is the mausoleum of Tokugawa Ieyasu, founder of the Tokugawa shogunate that ruled Japan for 250 years from 1603. Around it there are numerous small Buddhist and Shinto temples and shrines, and a 5-story pagoda (36 meters) built in 1650 but destroyed by fire and rebuilt in 1818. 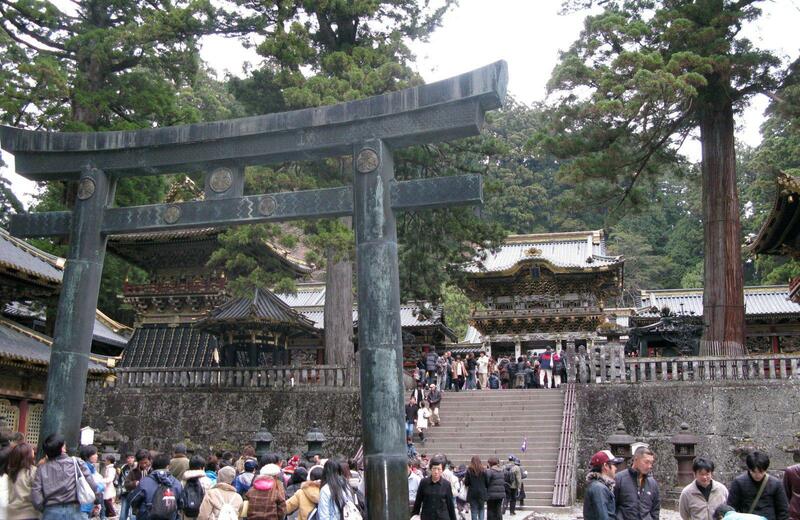 Very famous is also the entrance gate in the southern part, the Yōmeimon Gate, also called Higurashi-no-mon gate that literally means "The gate for which people would spend all day looking at it". There are infact carved 508 sculptures. Among the total 5173 sculptures that are spread within the Toshogu Shrine, very famous are the three wise monkeys. 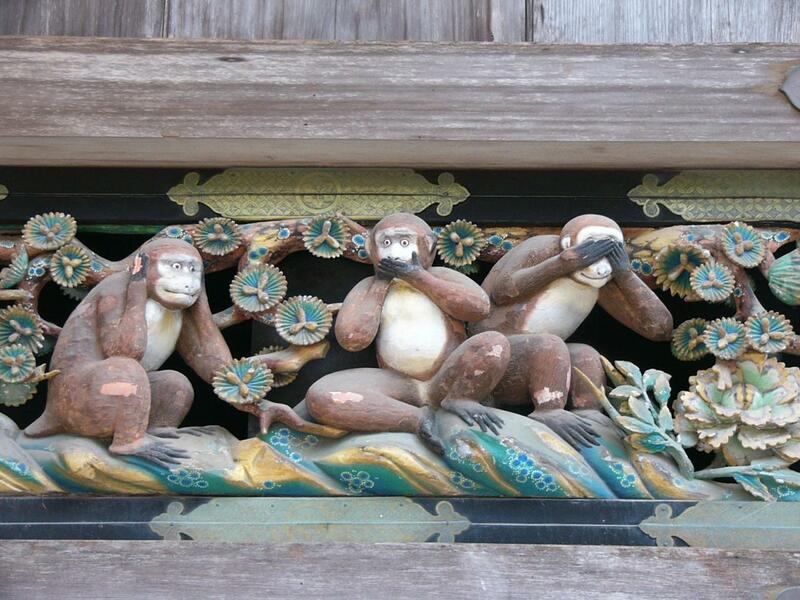 A large complex of Buddhist temples, founded in 766 by priest Shodo Shonin. The main building, which is often known as "Rinnoji Temple", is this building below, the Sanbutsu-doh Hall, inside which there are 3 famous statues of Buddha (Amida Buddha, Senju-Kannon, Bato-Kannon). Near the Rinnoji Temple (it belongs to it) there is a Japanese style garden built in the Edo period, the Shoyoen Garden, next to which there is the Treasure House, a small museum that displays objects related to Buddhism and the Tokugawa family. The admission to these two places must be paid separately (+300 yen) and they are non included in the Combination ticket. 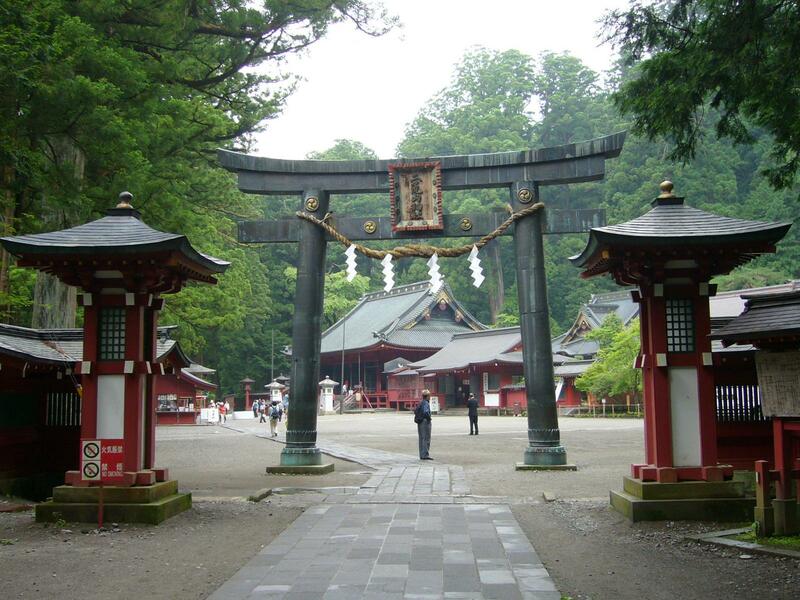 A Shinto shrine founded in 782 by the same priest Shodo Shonin of the legend of the Shinkyo Bridge (which formally belongs to Futarasan jinja) and who also founded the Rinnoji Temple. The mausoleum of the third shogun of the Tokugawa dynasty (Iemitsu), grandson of that Tokugawa Ieyasu buried at Toshogu Shrine. 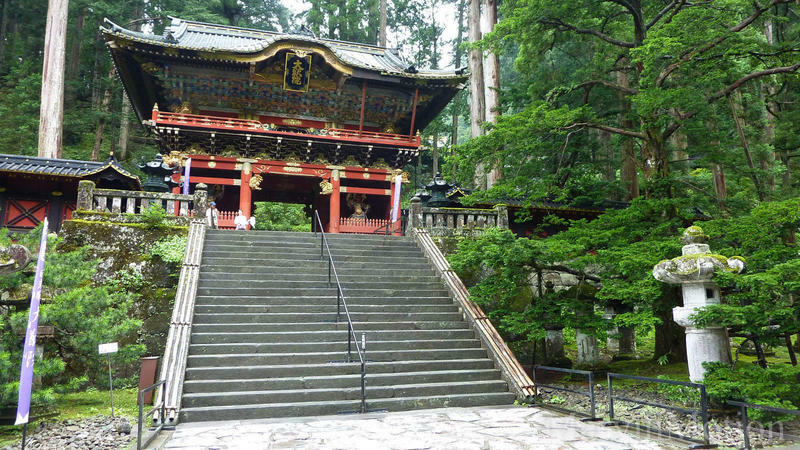 Besides the temples and shrines about which I just wrote, something else interesting in Nikko is located west of the Sannai area, about 20 minutes walk from Sankyo Bridge in the direction of the river, passing through a residential area (see map at bottom of page). 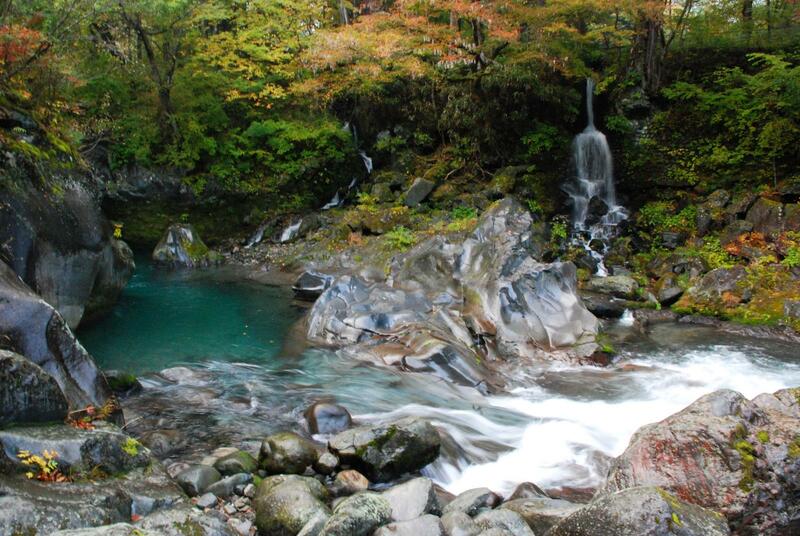 A very particular area along the river Daya characterized by rapids and small waterfalls, formed during an eruption of nearby Mount Nantai. 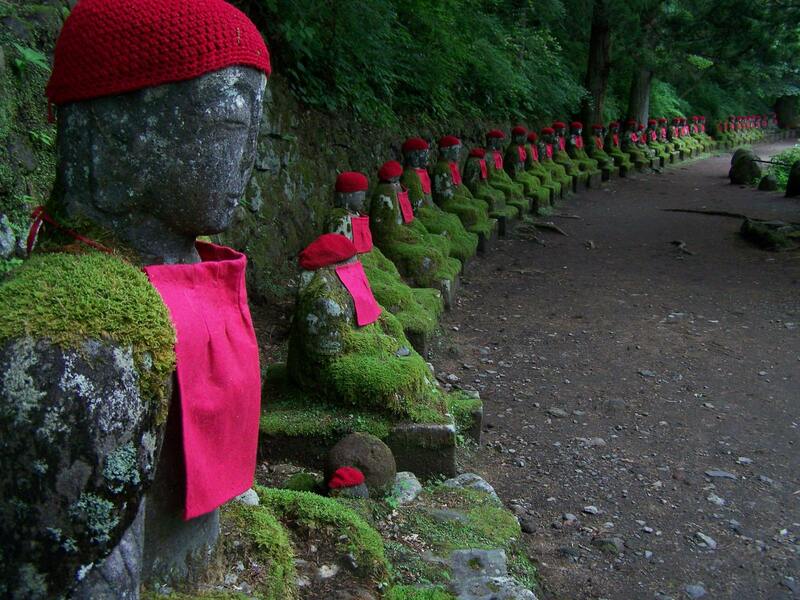 Just south of the river in this area there is another of the most famous places of Nikko, a series of 70 Buddhist statues (jizo), called "Narabi Jizo" (lined jizo), "Hyaku Jizo" (100 jizo), or also "Bake Jizo" (ghost jizo). Some curious "hearsay" are said infact about this place, like that the statues change periodically disposition and no one has ever seen them in the same position, or that it is impossible to count the exact number. 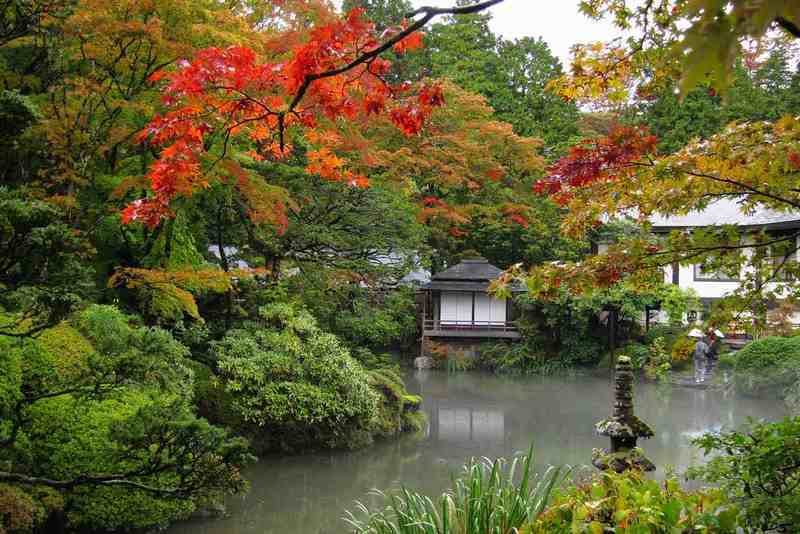 Also in this area, on the other side of the river (north) there is the Tamozawa Villa and the Nikko Botanical Garden. A botanical garden owned by the University of Tokyo, originally created to study the alpine species. It is located right next to the Tamozawa Villa. Today the park is open to the public, and besides a special section dedicated to the alpine plants, and another devoted to plants of marsh, it is home to many other trees and plants from all over Japan scattered around the park. The main botanical garden of the University of Tokyo is located in Tokyo the ward of Bunkyo. A small family-run hotel (minshuku) near the railway stations of Nikko. Lovely owners, they even come to pick you up at the station with their car if you inform them of your arrival. Single and double Japanese-style rooms, and equipped with all the basic amenities, bathrooms are shared with other guests. The hotel has very few rooms so try book well in advance. 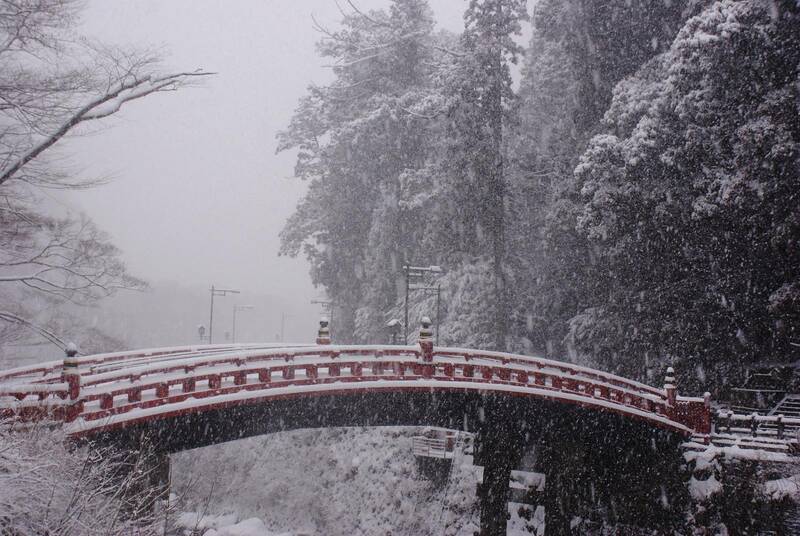 ¥3500 per person, one of the best solutions for people who want to stay in Nikko and spend little. 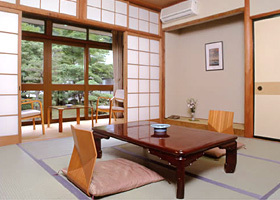 Hotel with Japanese-style rooms, with tatami mats and futon but with all the comforts, within the sacred area of Nikko, a few steps from the Shinkyo Bridge. You can easily reach it from the station by bus or 20 minutes walk. Inside the building there is also an onsen, with indoor and outdoor bathtub, available to all guests, and the opportunity to enjoy delicious breakfasts, lunches and dinners strictly in Japanese-style in the dining room. 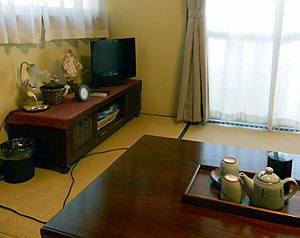 Mid-range rates, starting from ¥7000 per night, but still among the lowest in the area. If you have no budget problems, which means that you can spend at least ¥15,000 per person, and you want to try an experience in a ryokan in Nikko, this place is a fantastic choice. 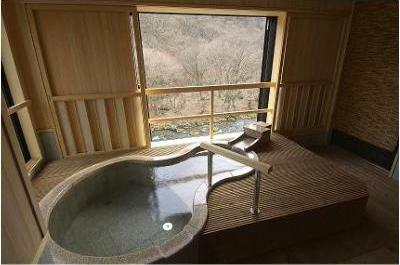 The rooms are Japanese-style, but with a clean and modern design, and with a view of the river and surrounding nature. Some rooms also have an outdoor bathtub on a private balcony over the river. It usually includes a half board with traditional japanese breakfast and kaiseki-style dinner. Unforgettable experience. From the stations of Nikko buses leave constantly to the region of Okunikko, whose famous Lake Chuzenji is located less than than an hour by road. Also in Tochigi prefecture, along the route between Tokyo and Nikko, making a small deviation you can reach the town of Mibu, where the Bandai Museum is located. The cheaper alternative from Tokyo is to use the private railway company Tobu Railways, leaving from Asakusa station. The cheapest trains are the "Tobu Line Rapid", which take about 2 ½ hours and cost 1320 yen (one way). If you have a Japan Rail Pass then you can travel on JR lines "for free", so it's worth to use it. You can take the JR Tohoku Shinkansen from Ueno or Tokyo station to Aomori but be careful to get off at Utsunomiya station, after about 45 minutes. Then at Utsunomiya station take another JR line, the Nikko line to Nikko (terminus), which takes further 45 minutes. Choosing this route without the Japan Rail Pass is very expensive, discard immediately this idea.